On the Toky Dashboard, click on Integrations. 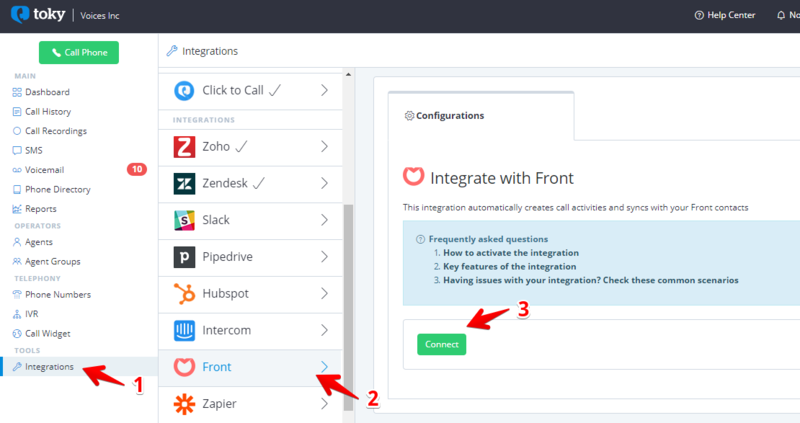 Find Front in the list of integrations and click on it. In the right panel, under the Integrate with Front section, click on the Connect button to go to the Front authorization panel. Enter Front credentials and log in. Select the Inbox where the events will be synchronized or create a new one. Add unknown callers as leads: Create automatically a lead with caller's information when the number calling is not known. Sync with my connected CRMs: If there's no information about a caller, pull it from a CRM that's already connected with Toky. 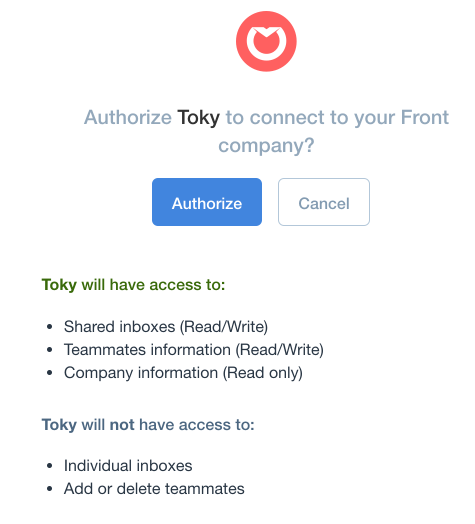 Respond to text messages directly within Front's interface: You will be charged from your Toky Credit.